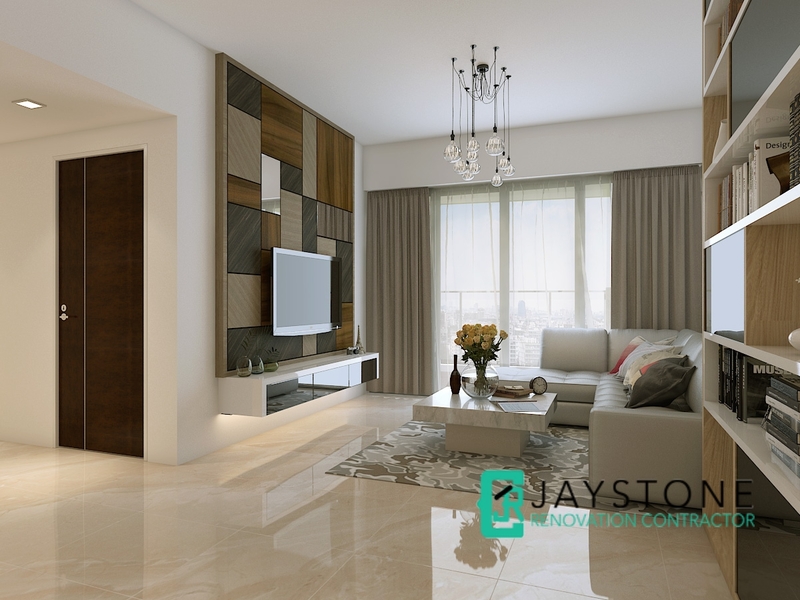 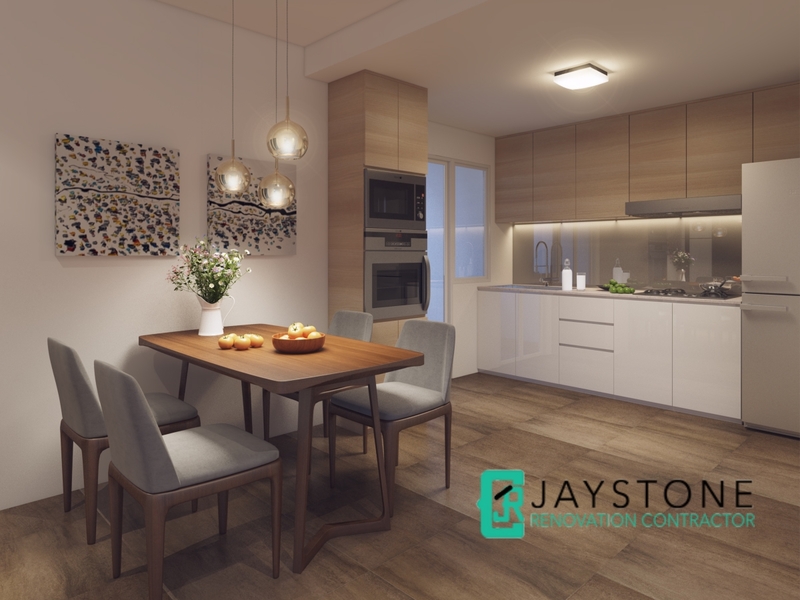 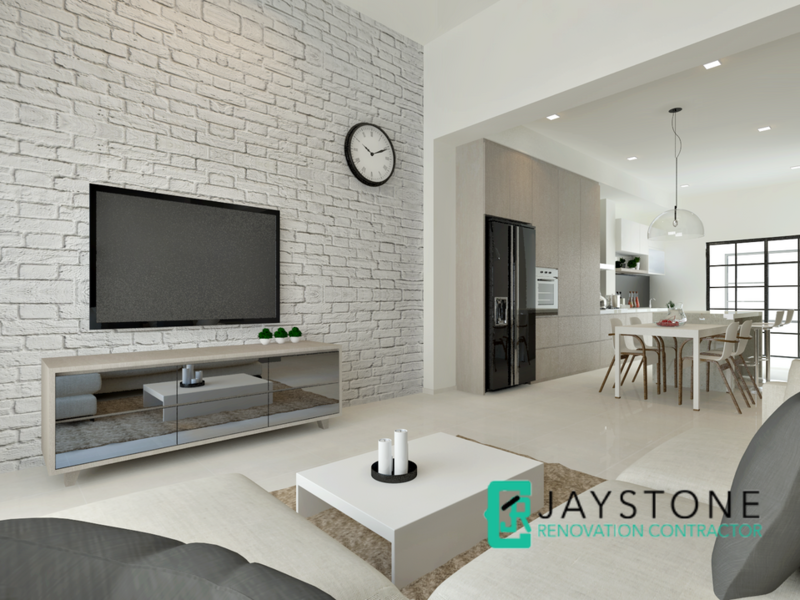 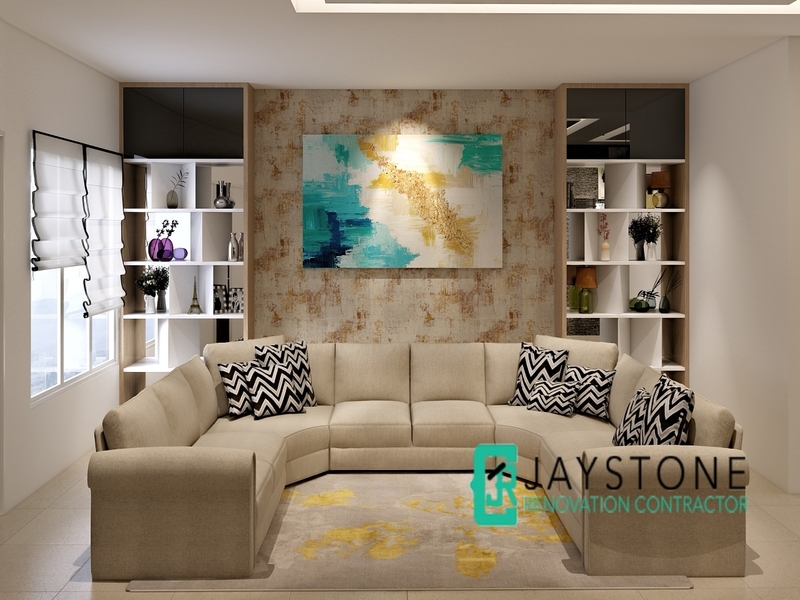 Jaystone Renovation Contractor offers Bathroom & Toilet renovation service and packages that are customised to your needs. 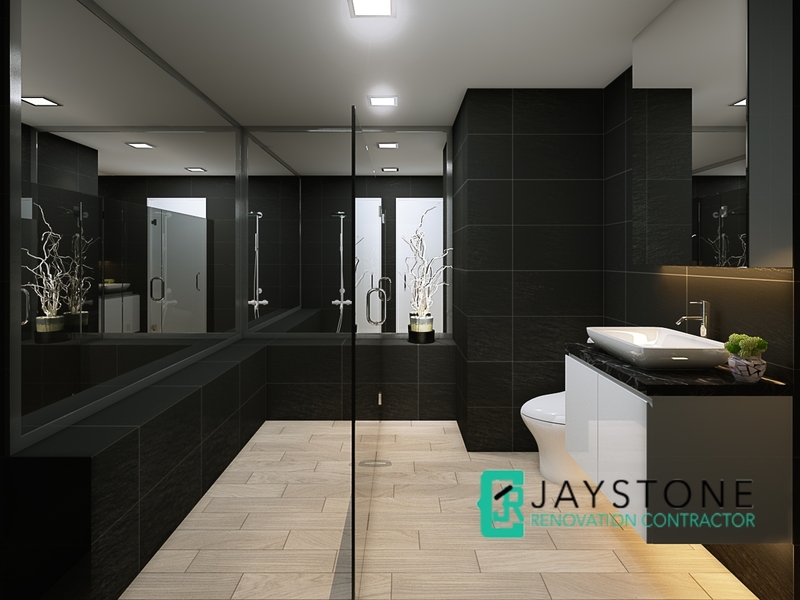 View the different types of toilet renovation packages below or contact us for more customised services. 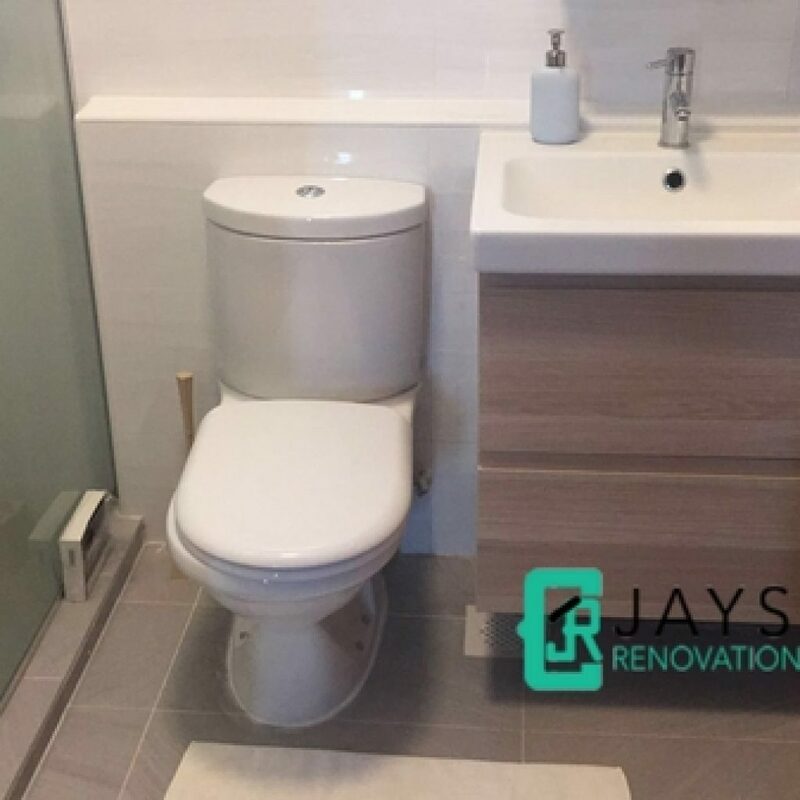 Customised toilet installation: We help with the installation of large selection of bathroom and toilet accessories like toilet bowl, wash basin, shower screen, toilet door, plumbing and installation, etc. 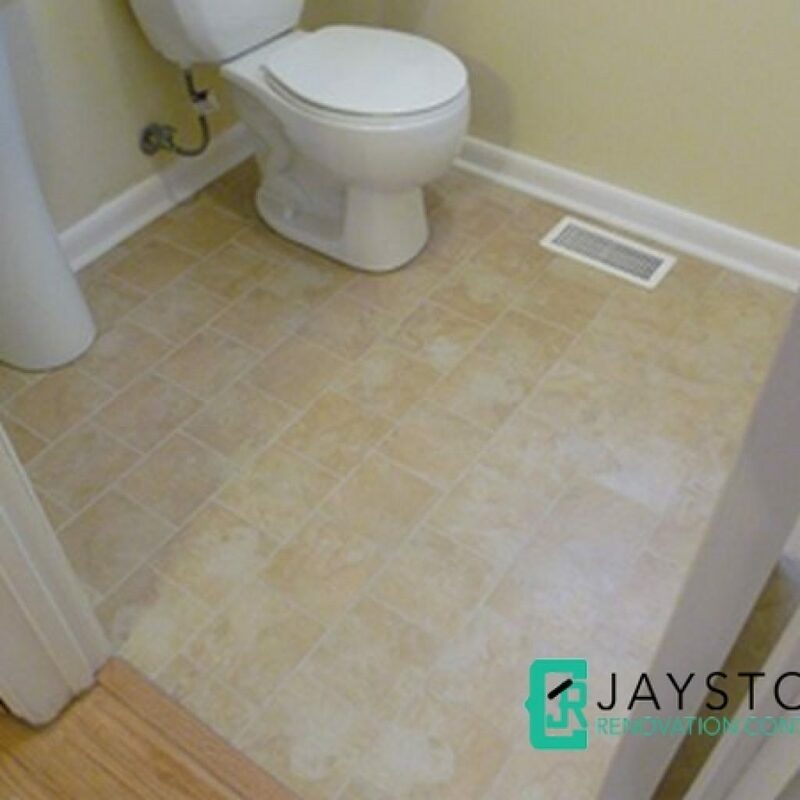 If you want to have a brand new refreshed look and the condition of your toilet floor is bad due to wear and tear, you may want to consider renovating the toilet by hacking and re tiling of floor. 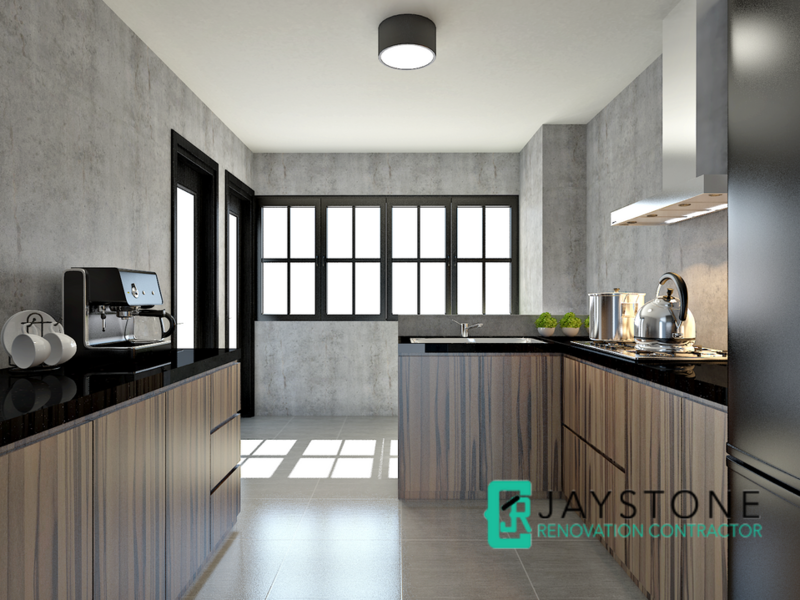 This is especially important if you have waterproofing issues that cause water to leak to your neighbour below. 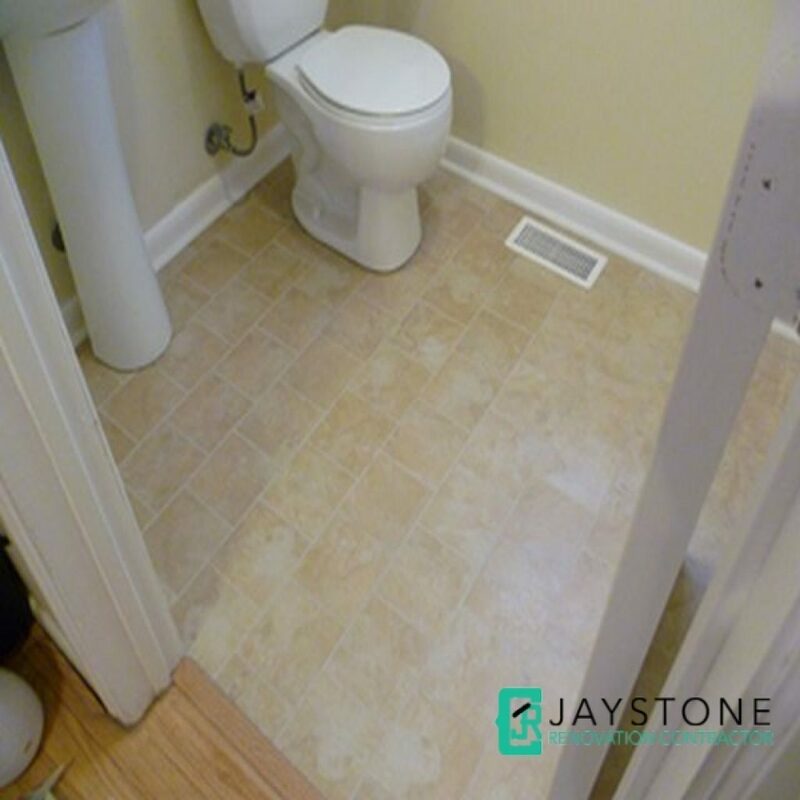 This type of toilet renovation can be done quickly where you can have a brand new toilet with the overlay of the floor tiles and the replacement of the toilet bowl / wash basin. 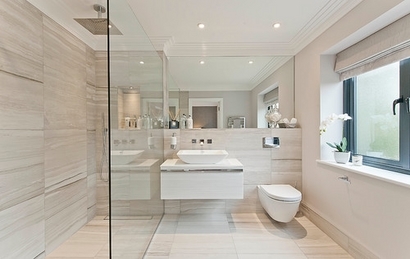 As no hacking of the bathroom is required, this process is fast and convenient. 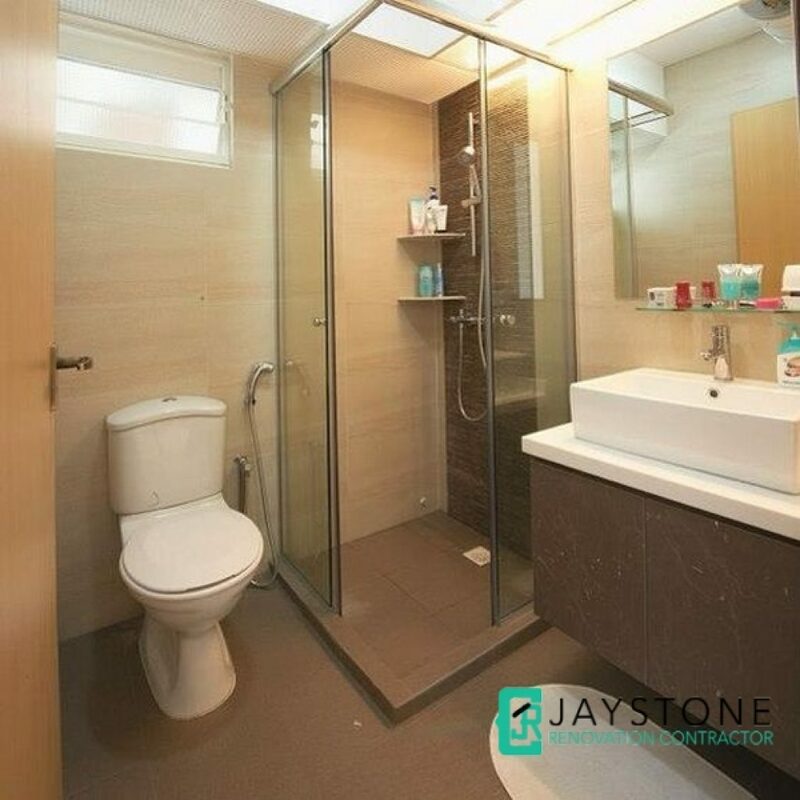 If you are renovating a new HDB flat, you can only overlay new tiles over the existing bathroom wall and floor tiles, as waterproofing has already been done. However, three years later, you’ll be able to hack off the old tiles and replace them. 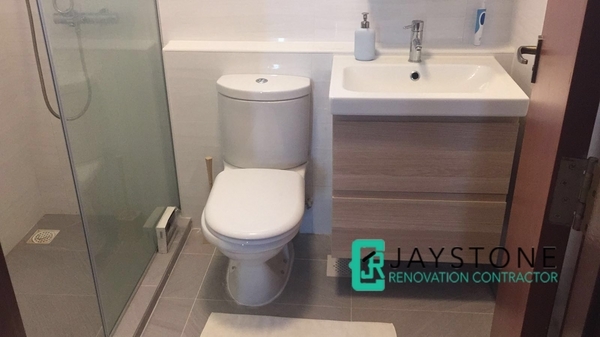 To have a 100% brand new bathroom that suits your design and lifestyle, you may want to consider a complete overhaul and remodelling of your toilet as well as new installations of all the bathroom accessories and fixtures. 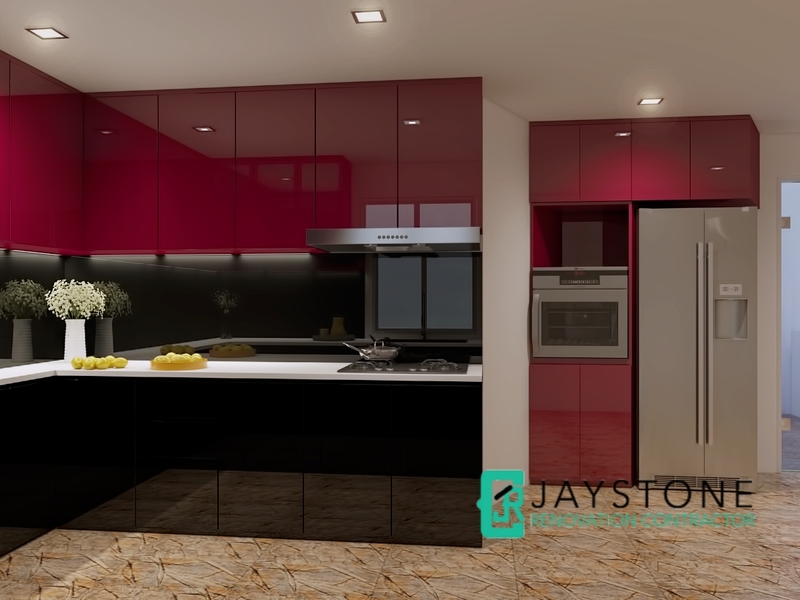 This consist of hacking both the floor and wall tiles and re-tiling them. 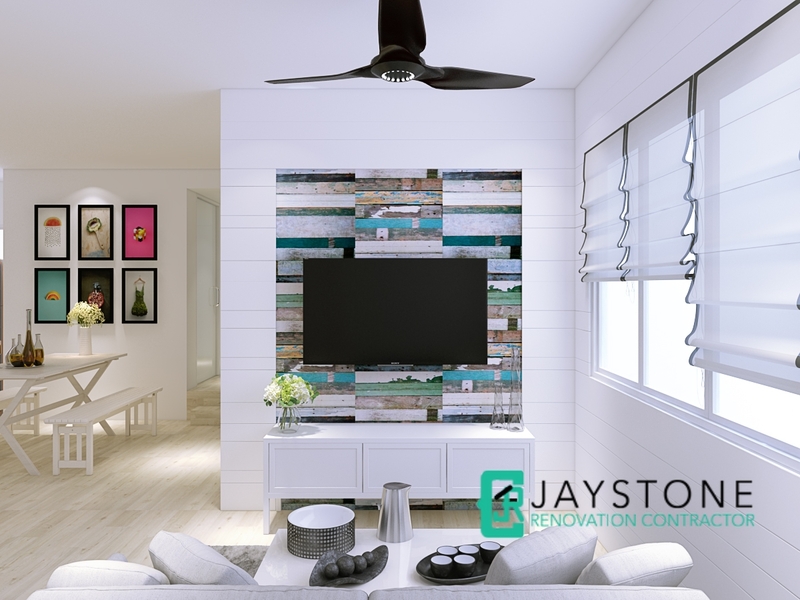 This is especially important if you have waterproofing issues that cause water to leak to your neighbour below.